The Soul Laundry shipping rates and delivery time information are laid out below. Prices and times are subject to change in accordance to The Royal Mail shipping and delivery prices and lead times. The Soul Laundry ships artworks both within the UK and Internationally. Orders can be placed online, by telephone or in person with prior arrangement at the Milton Keynes office. Contact info@thesoullaundry.com for more information. Orders are collated and shipped by 3pm GMT Monday to Thursday. All orders received after 3pm will not be dispatched until the next shipping day. Orders are shipped via Royal Mail Recorded Delivery Tracked and Signed. Lead times vary with each geographical area, but as a guide the following times are approximate: UK 2-4 working days, Europe 4-7 working days, Rest of World upto 16 working days. Please see below for further information on your region location. The Soul Laundry uses sturdy strong art tubes to ship your art print purchase to you safely and without damage. Prints are rolled loosely, wrapped in layers of acid free tissue and, where appropriate, a grease proof sheet to protect the print work. Postcards and smaller prints are sent flat between strong card to avoid creasing. These are also protected in acid free tissue. Where appropriate some art prints, and original pieces are sent flat packed or boxed. These will be notified upon purchase. Please email info@thesoullaundry.com for a preferred method of packaging and shipment. A number of our artworks are too large or fragile to be shipped using our regular services. On purchasing an oversize or fragile artwork you will be made aware of the individual packaging and shipping rates for an artwork of that nature. For certain artworks, and certain destinations in the world we provide custom quotes for shipping, if this is the case please contact the gallery. Alternatively if you would like to organise your own shipping please let us know. Certificate of Authentication / C.O.A. The Soul Laundry supplies each art piece with a Certificate of Authenticity (C.O.A. ), this certifies the artwork’s provenance. The certificate will show the artist and artwork name, the unique edition number (if it is a Limited Edition); and will be signed by the artist. If the artwork you purchase is an original piece, the C.O.A. will show this. Artists and print studios don’t always supply a COA and rely on invoices and receipts as proof of purchase and authenticity. In these instances Gallery’s and suppliers provide a COA to assure that the art work can be proven to come direct from the artist. If at any time you wish to sell on your art print, the new buyer can trace the provenance of the print and thus verify the authenticity. The Soul Laundry Certificate of Authenticity all come embossed and hand signed by myself. Orders are collated and shipped by 3pm GMT Monday to Thursday. All orders received after 3pm will not be dispatched until the next shipping day. On average standard UK shipping takes up to 4 working days. All UK parcels are shipped via the Royal Mail Tracked and Signed for service. Upon dispatch you will be emailed a tracking number for your order. This service will provide up to £50 compensation for loss or damage. With our international shipping service for Europe please allow shipping to take from 4 to 7 working days. Orders are collated and shipped at 3pm GMT Monday to Thursday. All orders received after 3pm will not be dispatched until the next shipping day. Prints are shipped via the Royal Mail Tracked and Signed for service. Upon dispatch you will be emailed a tracking number for your order, and if your order has not arrived after 10 working days please contact the gallery. For international shipping service to North America and Canada please allow shipping to take from 7 to 10 working days. If your order has not arrived after 14 working days please contact the gallery. For orders worldwide please allow from 10 to 16 working days, and if your order has not arrived after 20 working days then please contact the gallery. Orders are collated and shipped at 3pm GMT Monday to Thursday. All orders received after 3pm will not be dispatched until the next shipping day. Prints are shipped via the Royal Mail Tracked and Signed for service. Upon dispatch you will be emailed a tracking number for your order. 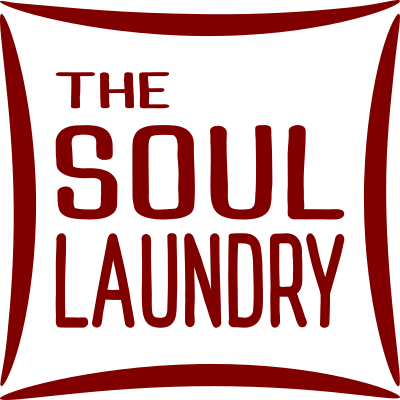 The Soul Laundry is not responsible for international duties or taxes. All international duties and taxes in relation to your order are the responsibility of the buyer. The Soul Laundry is not responsible for parcels damaged during shipping. Compensation for loss or damage is the responsibility, and at the discretion of the shipping provider, which The Soul Laundry will oversee and pursue on behalf of the customer. The amount and means of compensation is determined according to the shipping provider’s terms and conditions, and the nature of an individual claim. In the case that we are unable to deliver our packages to your given address (due to a lack of access to the site or an incorrect address), and the parcels are returned to us, additional payment will be required for a second shipping. Occasionally there might be a delay in shipping your artwork; I am a small team, and some of the artworks are in storage. If this is the case you will be contacted by the gallery. The Soul Laundry observes Royal Mail’s operational hours, therefore I do not ship artworks on UK bank holidays and weekends. Parcels are sent out on the next working day. For our complete list of Ts & Cs, please see our Terms and Conditions page here.